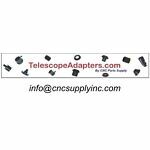 Camera Adapters for Telescopes and Microscopes. 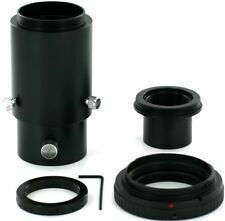 VariMax Pro-Series DSLR Telescope Camera Adapter - Variable Eyepiece Projection! 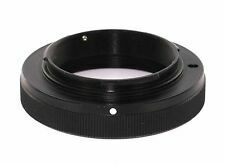 Fuji X Mount Short T-Ring - Only 10mm Deep, FITS STANDARD 42mm THREAD. 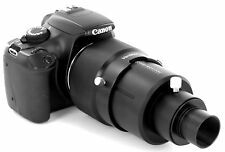 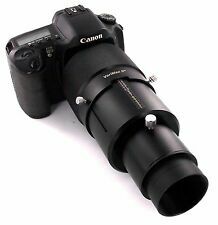 Canon EOS - Telescope Camera Adapter Kit - LIMITED TIME FREE PREMIUM UPGRADE! 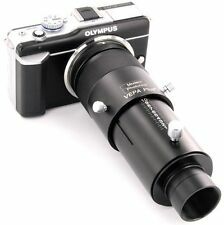 Nikon DSLR - Telescope Camera Adapter Kit - LIMITED TIME FREE PREMIUM UPGRADE! 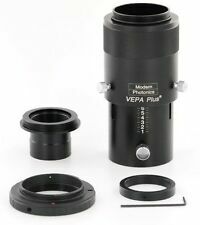 Telescope Camera Adapter for Nikon DSLR - 2" UltraWide! 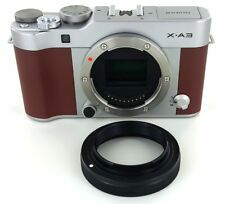 Fuji X Mount Wide & Short T-Ring - Only 10mm Deep, FITS 48mm THREAD ONLY!